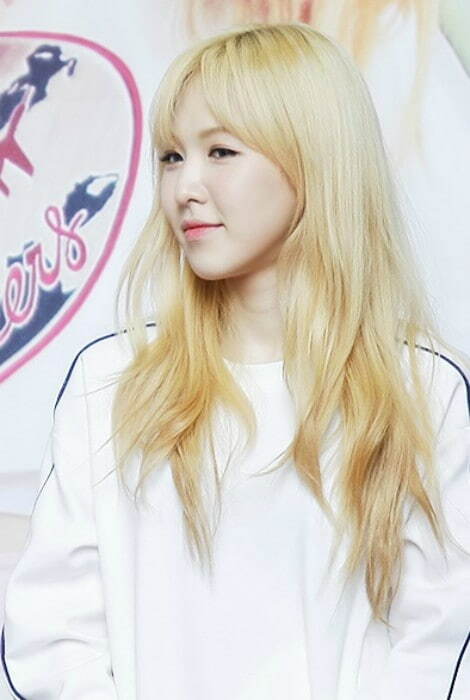 Wendy is a South Korean singer known for being a member of the famous K-Pop band Red Velvet. She auditioned for SM Entertainment in 2012 at the S.M. Global Audition in Canada. Other than with her bandmates, she has also worked with artists like Yuk Jidam, Eric Nam, and Baek A-yeon. Wendy has done endorsement work for numerous brands like Lotte Pepero, Baskin-Robbins, and Skechers. After her 5th year of elementary school, Wendy moved to Canada to study abroad. Then, she moved to the United States to study at Shattuck-Saint Mary’s in Faribault, Minnesota. She was a bright honor’s student and also participated in activities related to music and sports. She later attended Richmond Hill High School in Richmond Hill, Ontario, where apart from the studies, she also was a part of the school’s show choir called Vocal Fusion. Wendy is managed by SM Entertainment. Wendy has officially never dated anyone but once she told in an interview that she would like to be with someone who is considerate and whose smile reveals the goodness of his personality. She often tends to dye her hair ‘blonde’, ‘dark brown’, or ‘blue’. 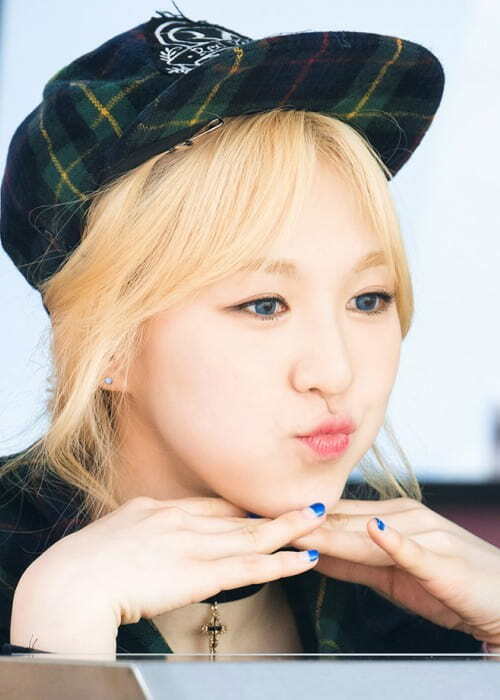 She often tends to wear blue-colored contact lenses. Individually, she has endorsed Skechers in 2017. Her religious beliefs are not known publicly. Wendy’s first studio album, The Red, was released on September 9, 2015, with her band, Red Velvet. 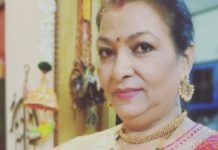 She made her TV show debut as a panelist on the show We Got Married in 2015. There were instances when she wasn’t allowed to eat what she wanted due to her manager’s constant pressure to maintain her physique. As a result, Wendy lost significant weight. But, after one of her seniors supported her, she correctly enjoyed her meals. Due to the constant pressure of maintaining her figure, Wendy follows a strict diet and focuses on eating healthy. 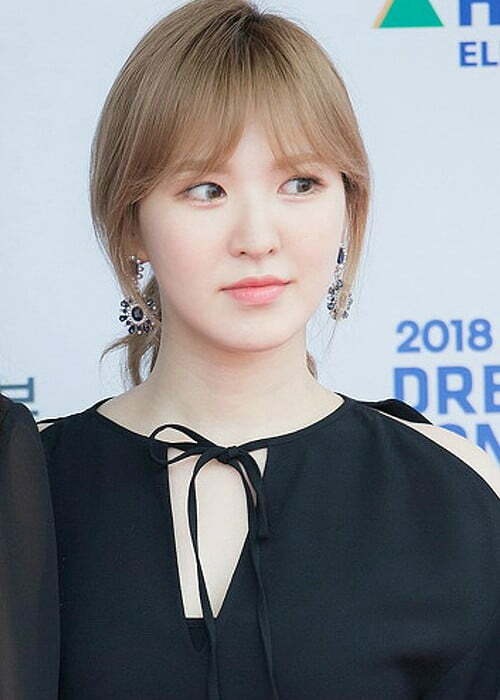 Her English name is Wendy Shon. Initially, her parents were against her pursuing a career in singing and wanted her to focus on her studies instead. Wendy can speak English, French, and Spanish. She was a member of S.M. Entertainment’s pre-debut group SM Rookies and released a song, named “Because I Love You”, for the soundtrack of the drama series Mimi. Known for her expressive reactions, Wendy has a very positive attitude.